Make 2019 a summer to remember with 30 activities to discover and do, and a whole lot of Texas to explore. Grab your water bottle and selfie stick and lather on the sunblock — summer is calling, and we’re here to help you explore. From the bayous to the prairie, the Pineywoods to Palo Duro, Big Bend to the World Birding Center, our first-ever statewide scavenger hunt starts NOW. Consider the Great Outdoor Scavenger Hunt a summer-long guide to everything Texas has to offer, and a great opportunity to discover something new about the place we call home. How does GOSH work? Check the list and choose your destination. Pack up friends or family and have the time of your life. Post a selfie with #GOSHTX to share the fun. 1. COMPLETE ONE (OR MORE!) ACTIVITY. The Great Outdoor Scavenger Hunt is a new way for us to share our favorite Texas summer destinations and activities. So pick a few — including some you’ve never tried before — then hit the road and enjoy! 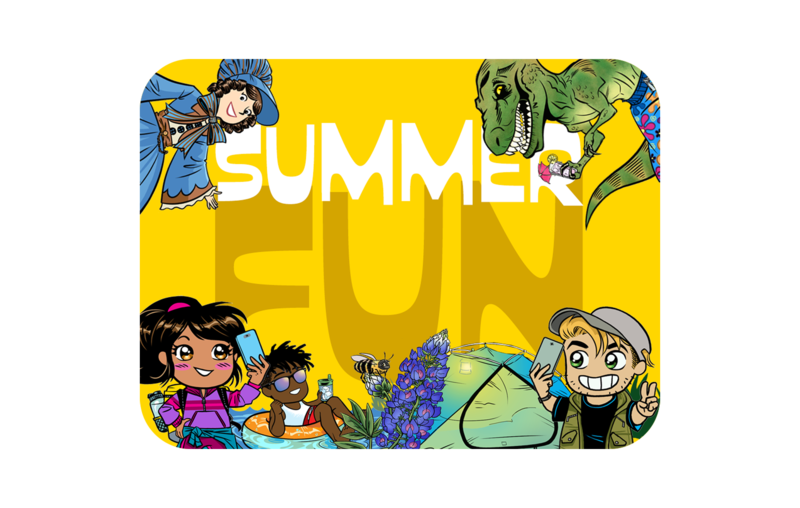 You won’t win a cash jackpot, but you will have an excellent Texas summer. We think that makes you the big winner. 2. COMPLETE EVERY ACTIVITY IN A SINGLE CATEGORY. History buff? Nature lover? Secret mermaid? 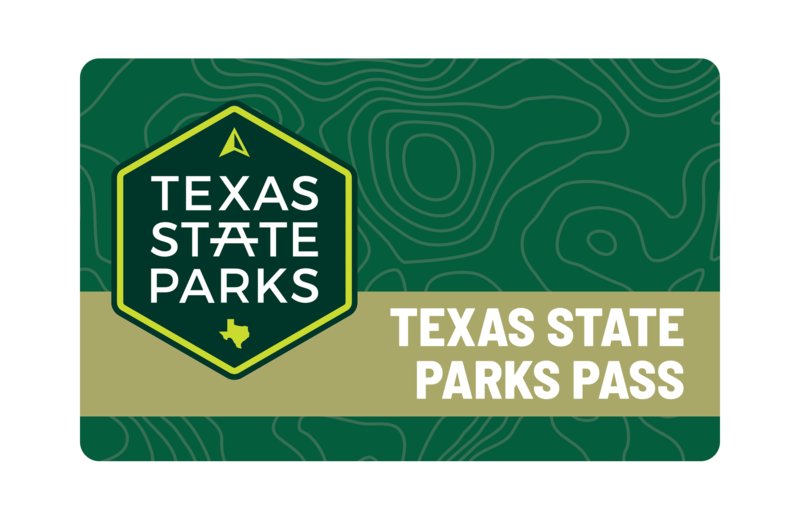 Complete all activities in any one of the five categories (History, Natural Wonders, Make a Splash, Wildlife and On the Edge) for a handsome, downloadable certificate commemorating your achievement, along with a shout-out in a future issue of Texas Parks & Wildlife. 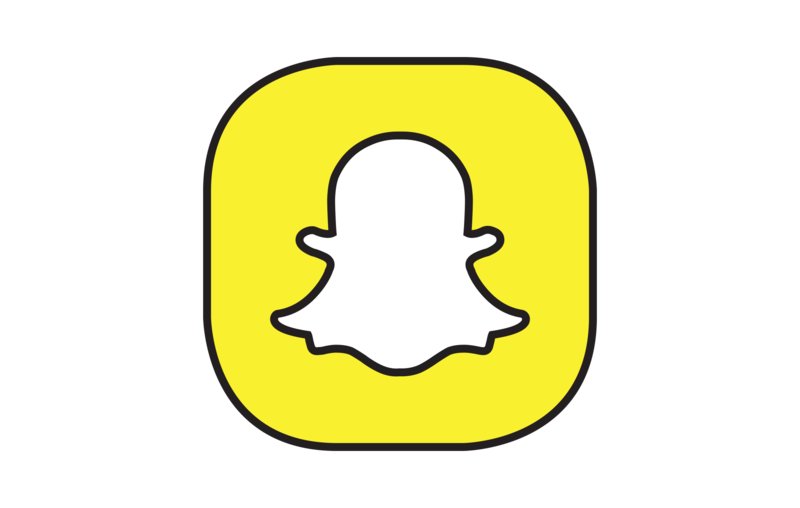 Here’s how to get that certificate: Each GOSH location includes a selfie suggestion marked with this icon. 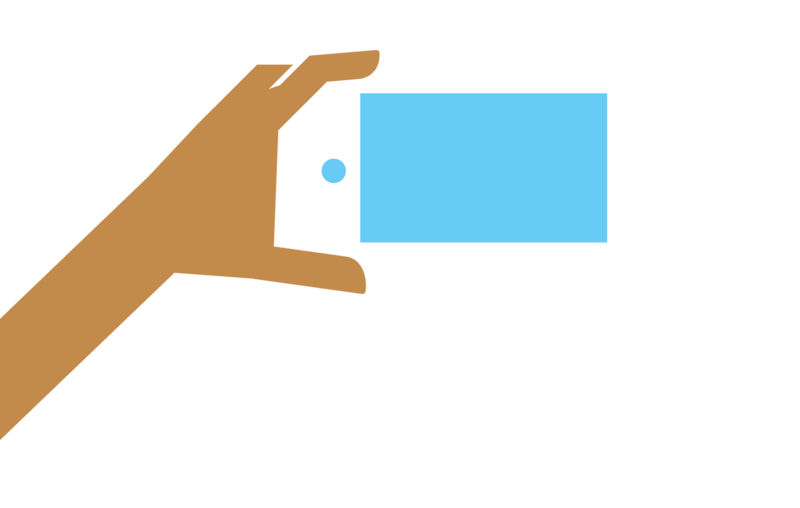 Sign up here, then get out there and snap those GOSH selfies. Post them to your favorite social media platform with the hashtag #GOSHTX to enter. 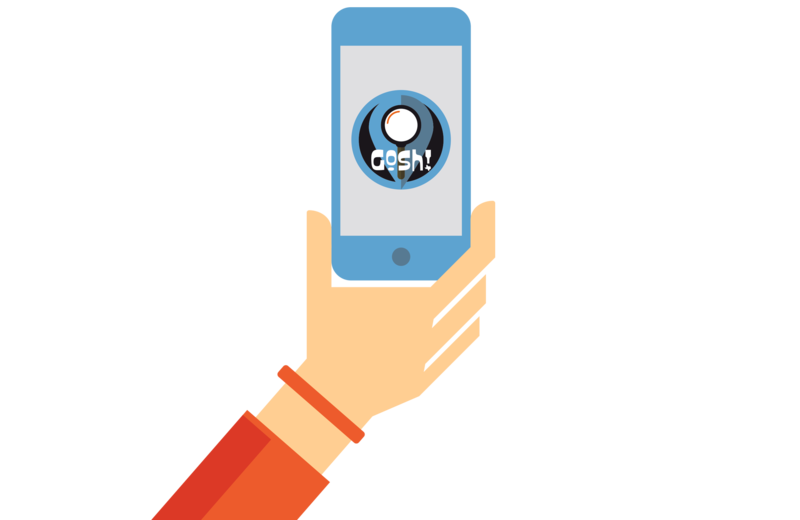 For example, to earn a certificate in the Wildlife category, a GOSH-er will upload six total selfies, one for each of the items in the Wildlife section of the app. 3. COMPLETE ALL 30 WILD, HISTORIC, SPLASHY, EDGY, WONDERFUL ACTIVITIES ON THE LIST. 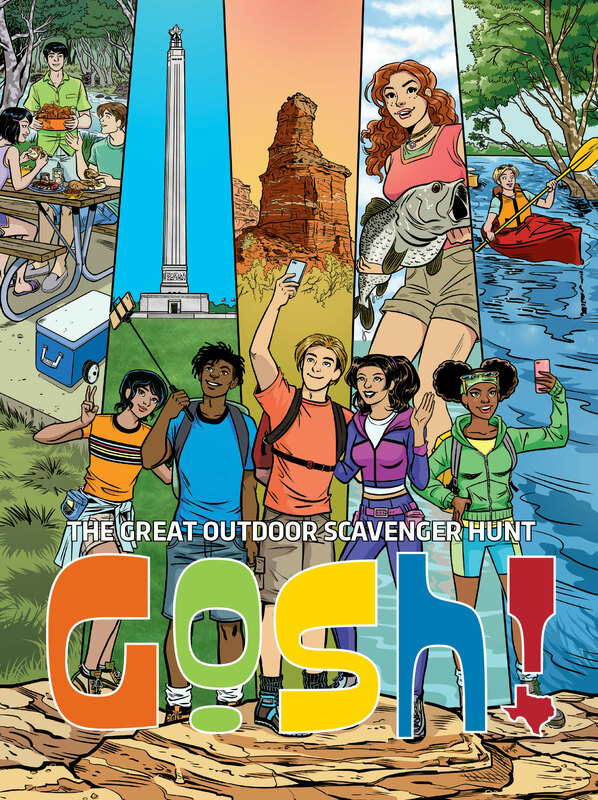 If you complete all 30 activities — and upload your selfies to social media or our online portal — you’ll win the ultimate GOSH bragging rights and the admiration of our magazine staff, as well as a downloadable certificate crowning you a GOSH-er par excellence, and a two-year digital subscription to Texas Parks & Wildlife magazine. Best of all, you can forever bask in the knowledge that you’ve truly enjoyed the best Texas summer ever. The Great Outdoor Scavenger Hunt ends at midnight on Labor Day, Sept. 2, 2019. Sign up on our Facebook page or at our website, then tag all of your selfies #GOSHTX to participate. DON'T BREAK THE LAW, FOR GOSH SAKES! 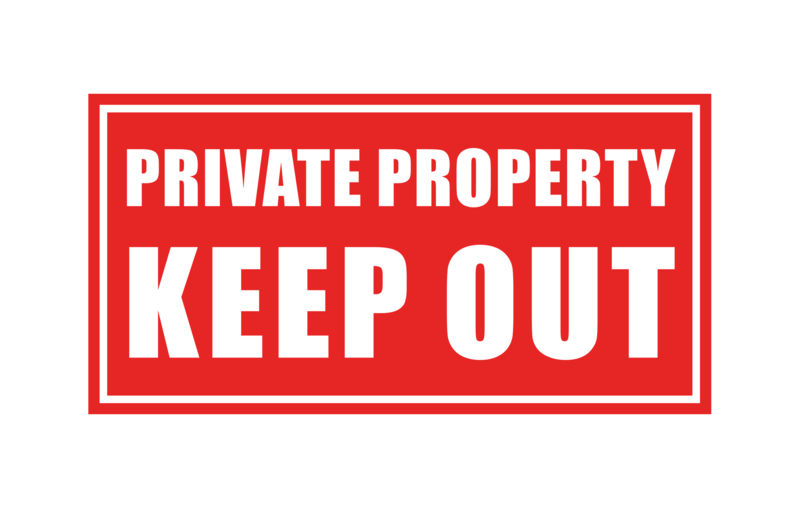 When participating in the Great Outdoor Scavenger Hunt, stick to publicly accessible places, and obey all signs and park regulations. Throughout the summer, we’ll be spotlighting certain parks with special Snapchat filters, so plan your visit accordingly. Except where noted, park admission isn’t free. A $70 annual state park pass will save money and give you unlimited entry to more than 90 state parks — plus discounts on camping and other benefits. Download the magazine app for iOS or Android (it’s free!) to take GOSH with you this summer.